It's been nearly a week since President Trump issued an executive order temporarily restricting travel from seven predominately Muslim countries in the Middle East and Africa. Plenty of confusion about it remains, but administration officials have tried to clarify some of the particulars. When Trump first issued the order last Friday some lawful permanent U.S. residents were detained at American airports, or blocked from boarding planes altogether. Kamaal Mohamed of Minneapolis — a U.S. citizen — tried to travel with his family from Somalia this week. But in a Facebook video posted Tuesday, Mohamed said airline officials would not allow his wife — who was recently granted a green card — to get on the plane. "It looks like I'm being denied to bring my family along with me and it's very devastating," Mohamed said. 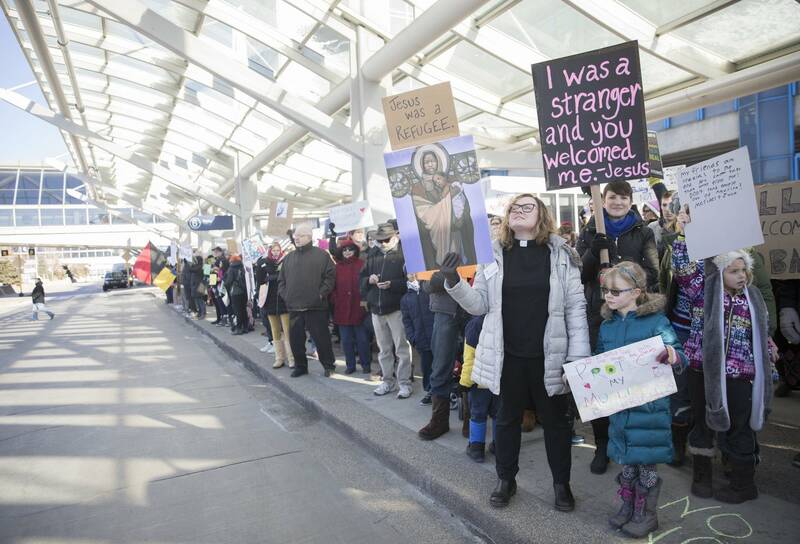 On Saturday, Fateme Farmad of Minnetonka, a permanent U.S. resident originally from Iran, was detained at the Los Angeles airport. She was traveling with her mother, brother, and 11-month-old son. They were on their way back from a wedding in Iran. Immigration officials were polite, but provided her with few answers. "After five hours, an officer said to me that you're almost done, just wait for 10 minutes," Farmad said. "One hour passed, two hours. It never happened. I don't know why he kept promising me you're almost done." Farmad and her family were made to wait 13 hours before they could leave the airport. They were never told why. Also seeking answers are many members of Congress, including Tim Walz of southern Minnesota. The DFLer says he has always had a good relationship with Customs and Border Protection officials at the Twin Cities airport. And they've always answered his questions, whether about security procedures or screening lines. "They just had a prepared statement. And they were very clear that they've been instructed not to answer any questions. And these are folks I've known for a decade," Walz said. Walz sent a long list of questions to Homeland Security Secretary John Kelly on Tuesday. Among them: How many people, if any, have been detained at the Minneapolis-St. Paul International Airport? Are dual citizens being screened for removal? Are CBP officials in the Twin Cities complying with the temporary restraining orders issued by four federal judges? So far, Walz says he has no indication that anyone has been detained at MSP. But he says it's illegal for the Trump administration to evade Congressional oversight. "Whether it becomes a constitutional crisis or not depends on how well they're willing to fix this. But you as the executive branch do not get to say no to the oversight of the legislative branch." At a news conference Wednesday, Homeland Security officials tried to clarify how Trump's executive order is being implemented. Secretary John Kelly says the agency is complying with all court orders. And acting Customs and Border Protection Commissioner Kevin McAleenan said in the first 72 hours of the order, around 500,000 foreign nationals were allowed in to the United States. "We denied boarding to 721 travelers who had visas from the affected countries. But we actually processed for waivers 1,060 lawful permanent residents of the United States as well as an additional 75 waivers granted to immigrant visa and non-immigrant visa holders." McAleenan said visa-holders from the seven affected countries, Somalia, Syria, Libya, Yemen, Sudan, Iran and Iraq, will be denied boarding at overseas airports. And travelers with dual citizenship will be vetted based on the passports they present. On Wednesday, White House spokesperson Sean Spicer said green card holders no longer need a waiver. 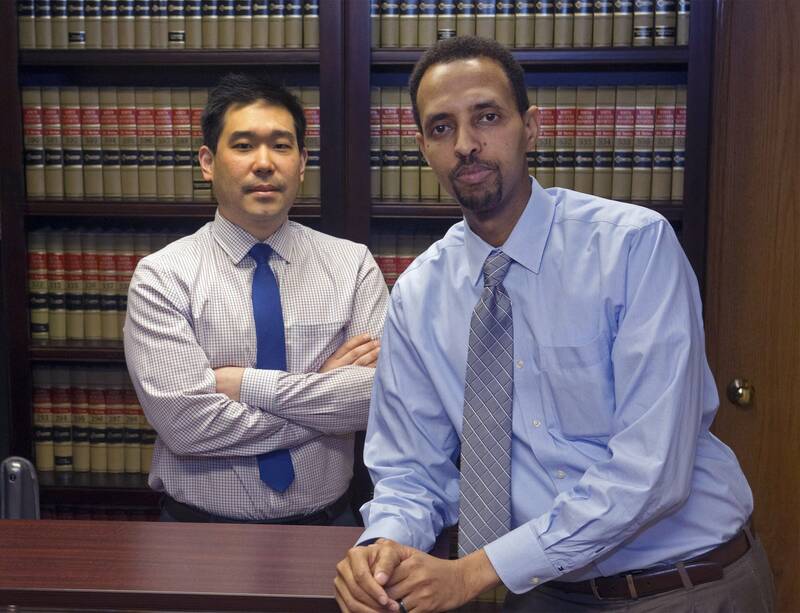 Twin Cities immigration lawyer Chris Lee is urging his clients to be patient while opponents of Trump's order figure out their next moves in court. "Just give it time so that we can fight back. All the organizations are getting together, and hopefully we can push back," Lee said. More legal challenges are already in the works. Minnesota Attorney General Lori Swanson Wednesday joined a lawsuit by Washington State. It alleges Trump's action violates the Constitution's equal protection and due process clauses, as well as a 1965 immigration law that prohibits discrimination on the basis of nationality.